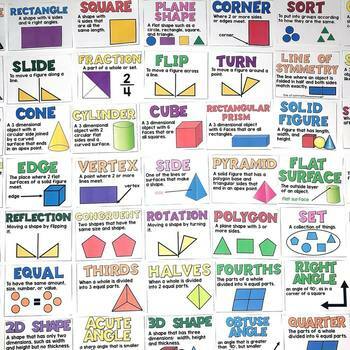 Vocabulary is essential to teach with every single math concept. 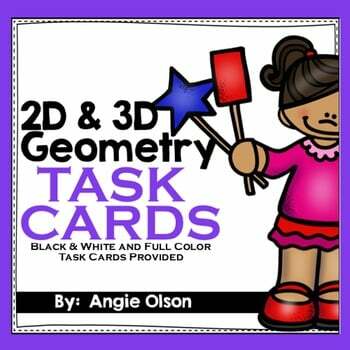 These math vocabulary cards cover every vocabulary word for 1st and 2nd grade! 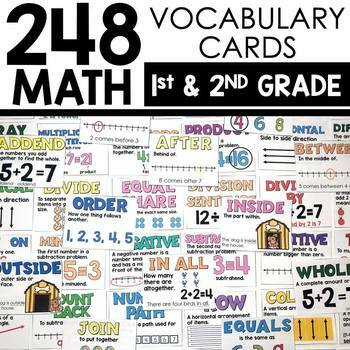 There are a total of 248 math vocabulary cards! Just print and post! 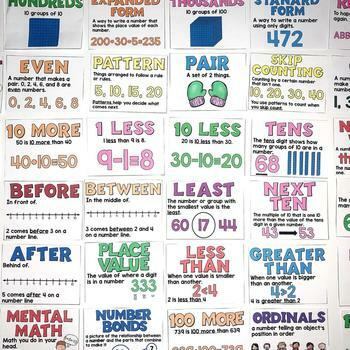 They can be placed on your math focus wall, whiteboard, used in small groups, or even attached to your anchor charts. 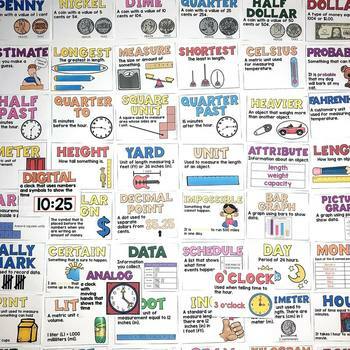 Each math vocabulary card includes the vocabulary word, student-friendly definition, and a detailed graphic that shows the meaning of the vocabulary word. 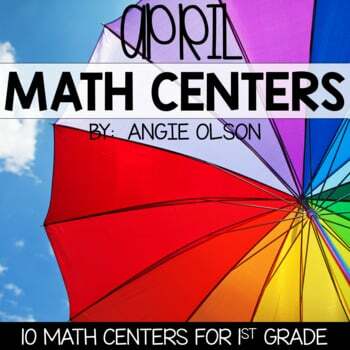 Each page comes with 4 cards to each page.